LAS VEGAS -- Recent natural disasters like Hurricane Sandy have made it clear how important it can be to have backup power as part of your emergency preparedness plan. 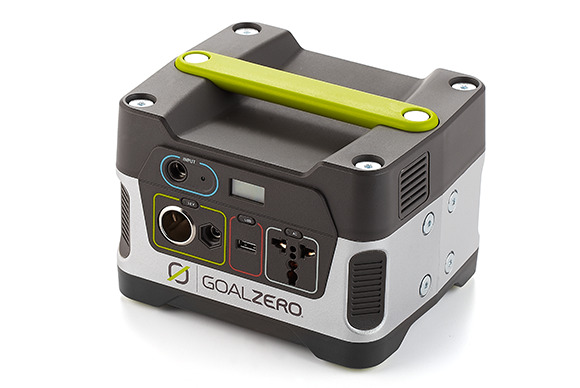 Goal Zero wants to have you covered with its upcoming Yeti 150 power pack. 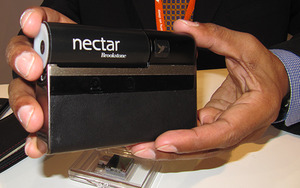 For $400, it will store 150 watt-hours of juice, enough to charge your laptop several times or run your tablet for a week. You charge it from a wall outlet, but for $200 more, the company’s 15-watt solar panel will fill it up in about 15 hours of bright sunlight. Unlike the far more powerful Yeti 1250, which can run large appliances but is large and heavy enough to require wheels, the Yeti 150 is small enough to be useful for more than emergencies. It’s heavy (hey, lead-acid batteries aren’t exactly lightweight), but it’s compact enough to pack away with your camping gear or to take with you on that weekend trip to a rustic cabin in the woods. With a $400 power pack and a $200 solar panel—and a little luck avoiding cloudy weather—you might just be able to live the dream of never turning off your iPad ever again.